I have this habit of trying to clean up my act (at least somewhat) in advance of my annual blood work. So I have, for the time being at least, sworn off bags of fun size Snickers in favor of roasted almonds. I used to make them all the time up in Gilroy and I thought I needed to get back to that. Healthy. Good for cholesterol. 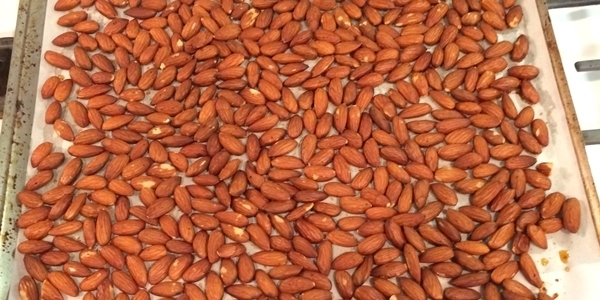 Put enough olive oil in a bowl to cover the almonds. Add your favorite salt-free seasoning. Spread out in a single layer on a cookie sheet. 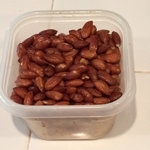 Let the almonds cool off and then store in an air-tight container. Voila! A tasty, healthy snack!